The winner of the competition to design our new logo is Nita McGauran. A graphic designer based in Wangaratta, Australia. so she can work around her 2 young children. “I’m always on the lookout for design contests, as I enjoy the freedom of designing without having to follow a strict brief. A winning logo is a great addition to my portfolio, but it is also a pleasure to design for small local clubs who generally don’t have the resources to employ a professional designer – I think they still deserve a great logo! Although I am not musical myself, I still have a great appreciation of all types of music, including Folk – So I am very pleased that my design was chosen to represent the Levin Folk Music Club. With these dates, so you don’t miss these coming events. September 11th guest artists are “Black Eyed Susie”. Blackboard 1st half from 7.30 pm. Library Jam – Friday 2nd October at 7.30 pm. Update – October Jam cancelled. 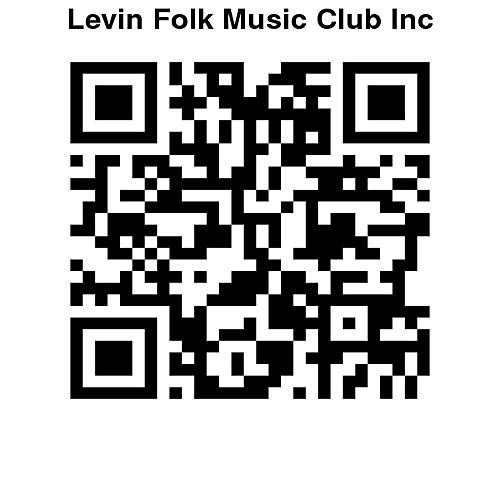 The Levin Folk Music Club AGM reports and minutes of the meeting held on 24 July 2015 are now available on the downloads page. The AGM was held on Friday 24th July, with about 25 people attending. Congratulations to our new Committee: Rona Cooper, Colin Brown, Kevin Watson, Paul Webster, Margaret Jeune, Jenny Geelan, Keith Heginbotham, Jo Sheffield elected at the AGM and Dale Webb, Chair. A Treasurer and Secretary will be appointed from the committee. The Chairs Report and the Collation of the questionaire are available on download page. The most immediate change to the Club as a result of the AGM will be an increase in the door charge for non-members from $8.00 to $10.00, effective from the September Club Night. The Club Membership fee will remain at $20.00 for a whole year and $10.00 for joining between February and June. There have been changes made to the Blackboard Policy – please download or read them here.